In 2010 our debt was $35 billion, $41 billion in 2011, $48 billion in 2012, $64 billion in 2013, $67.7 billion in 2014, $63.8 billion in 2015, $57.8 billion in 2016, $70 billion in 2017 and $73 billion in 2018. This statement implies a $28 billion increase in the 5 years of Goodluck Jonathan’s presidency when the oil price was ca. $100 compared to a $10 billion increase in the 3 years of Buhari’s presidency where the oil price was significantly lower. The data presented by the VP is correct. However, this data should not be compared as the debt figures quoted for the years 2010 – 2012 did not include the states domestic debt stock. The figures quoted for the years 2013 – 2018 included the states domestic debt stock. The figures quoted for the states domestic debt stock are really not comparable too because some states had dated debt figures lumped with updated figures for other states. I will try to show the debt growth incurred by the federal government of Nigeria between 2007 and 2018 and using the exchange rate applicable at that period to determine Nigeria’s debt growth trajectory. The total external debt was $3.35 bln in June 2007. Total FGN domestic debt was 2.051 trillion naira ($13.69 bln using March 2010 NGN/USD exchange rate of 149.83). In March 2010, total external debt was $4.31bln and FGN domestic debt was 3.47 trillion naira ($23.14 bln using March 2010 NGN/USD exchange rate of 149.83). The administration of Yar’Adua increased the public debt by $10.4 bln in 3 years. The average oil price in this period was $79. The total external debt was $4.31 bln in March 2010. Total FGN domestic debt was 3.47 trillion naira ($17.6 bln using June 2015 NGN/USD exchange rate of 196.92). In June 2015, the external debt was $10.32 bln and FGN domestic debt was 8.4 trillion naira ($42.64 bln using June 2015 NGN/USD exchange rate of 196.92). The administration of Goodluck Jonathan increased the public debt by $31.05 bln in 5 years. The average oil price in this period was $95. The total external debt was $10.32 bln and FGN domestic debt was 8.4 trillion naira ($27.5 bln using June 2018 NGN/USD exchange rate of 305.87). In June 2018, the external debt was $22.08 bln and FGN domestic debt was 12.15 trillion naira ($39.73 bln using June 2018 NGN/USD exchange rate of 305.87). The administration of Buhari increased the public debt by $24 bln in 3 years. The average oil price in this period was $52. The most significant increase in public debt occurred during the Goodluck Jonathan years ($31 bln increase). However, there was no major public infrastructure project completed during the period. There was NONE!. There has been so much noise about the rising debt profile of the country. While it is worrisome, it was inevitable. We should not forget that we are in this position of making high debt servicing payments because of the debt increase that occurred during the Goodluck Jonathan years in a period of very high oil prices – the highest we have seen for the longest period. It is hypocritical to complain of the debt incurred in the Buharis admin without taking a look at the preceding years. We have seen major projects being completed in the last 3 years – the Warri – Itakpe railway that was abandoned for 30 years has been completed, the Lagos – Ibadan railway project is at an advanced stage, the rehabilitation of the Lagos Ibadan expressway is progressing, work is ongoing on the 2nd Niger bridge and so on. The debt incurred by the Buhari administration is clearly being deployed to infrastructural development. A portion was also deployed to refinance the expensive naira debt that was incurred in the previous years. This is progress and it should be applauded. This should not stop us from tasking the government to improve revenue generation. The risk with the ballooning foreign debt is we may struggle to service these debts if another oil crisis occurs. The government needs to act fast on economic reforms. Wasteful subsidies need to be eliminated urgently. Private capital needs to be mobilized to support the infrastructural development and this can only be achieved by implementing serious reforms. The government needs to make urgent reforms or the infrastructural renewal that is happening gradually will amount to nothing. 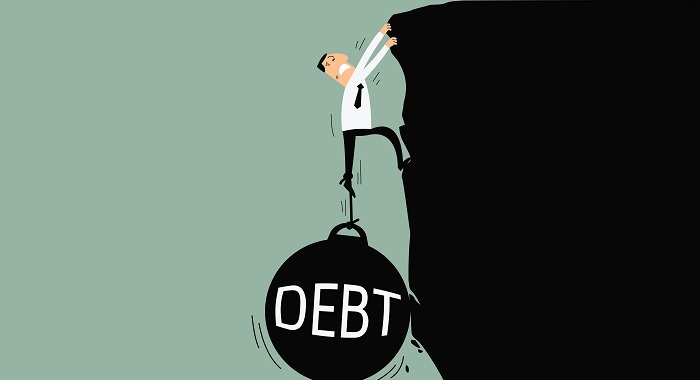 Between 2007 and 2015, public debt increased by more than $40 bln. There is nothing to show for this increase in a period of high oil prices.